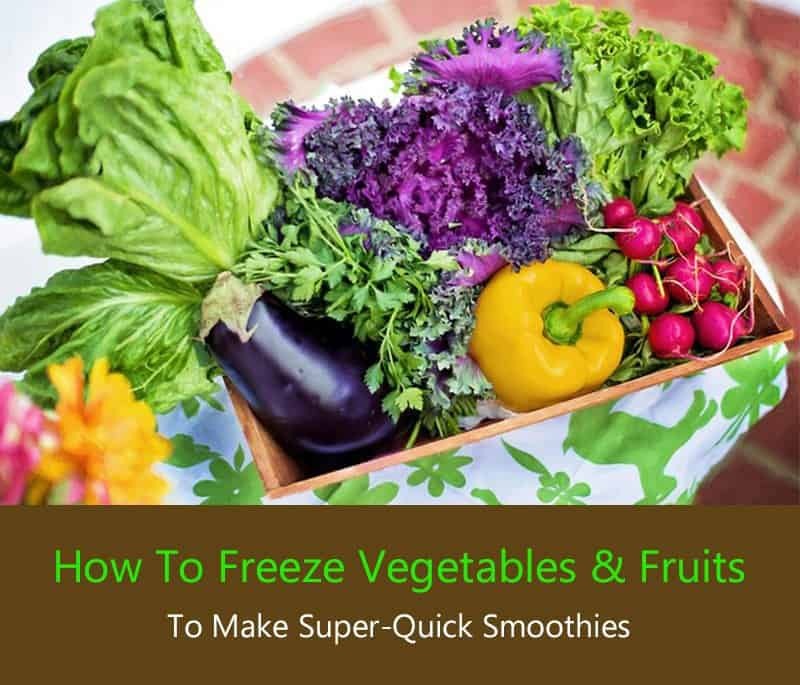 Why freeze vegetables and fruits? Want to learn a clever hack that would make it much easier for you to eat healthy and save you tons of time & money? I found myself struggling for a long time to include healthy smoothies in my busy life, especially in the mornings. Preparing smoothies takes time, because it requires you to shop for fresh groceries then waste precious time on a busy morning to wash and cut everything. Even if you do your best to go shopping on Sunday, then Wednesday rolls around and your greens are turning yellow or wilted, turning into time and money down the drain. You can freeze vegetables to make them last longer and use in your smoothies. No more throwing away nutritious food, or eating a donut for breakfast to save time. Freezing fruits and vegetables also means you get to enjoy more variety in your smoothies. Each and every day you can have a totally different smoothie. 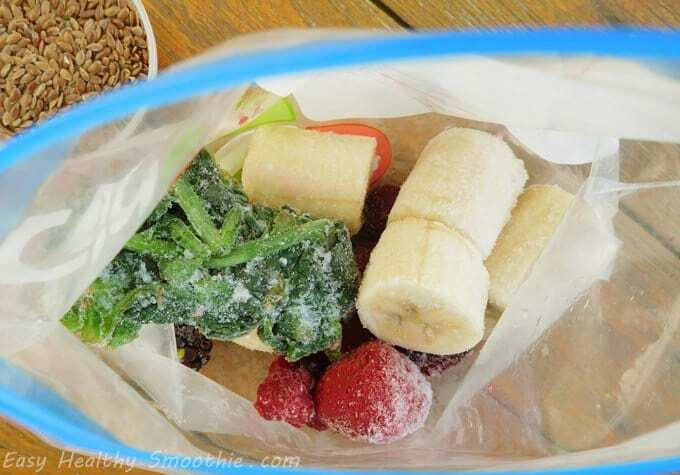 Just grab a bag from the freezer and toss it into the blender! I call this nifty method I’ve been using: “make-ahead smoothies”. It makes healthy eating easier than ever. You can even prepare the entire smoothie mix in advance, freezing bags of mixed fruits and vegetables, ready to be tossed into the blender! 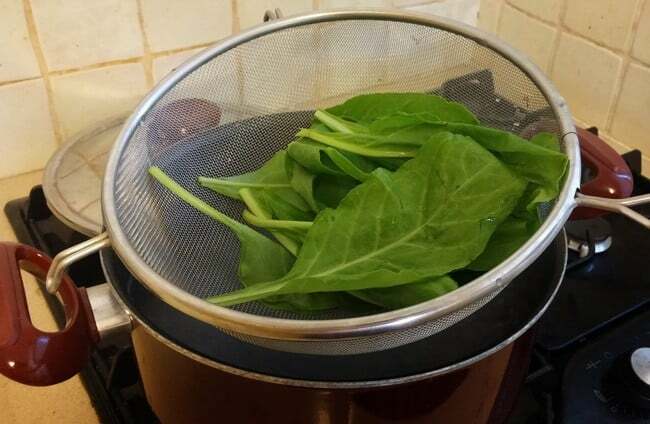 In this post I’m going to show you how to freeze vegetables and fruits easily, and also answer some popular questions such as how to blanch and how to freeze spinach as well as other leafy greens. * Blanching fights nutrient loss by slowing enzyme activity, which still occurs after freezing. This preserves as much as the nutrition value as possible, and makes your vegetables last longer in the freezer. Check this table for the vegetables that must be blanched before freezing, including exact blanching times. You can learn more about why you need this step in the section below - Art and Science Behind Freezing Vegetables. First, wash the fruits in a mild solution of water and vinegar (about 1 teaspoon vinegar per quart of water) to remove any residue from the skin. Rinse thoroughly with clean water. Small berries like blueberries, or raspberries can be left whole. Larger fruits should be cut into pieces that will be easier to blend when making smoothies. 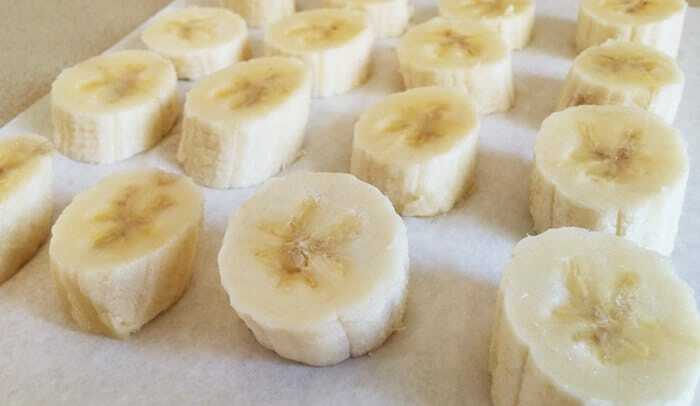 For example, if you are freezing bananas, peel them and chop into 1-2 inch rounds. Peaches would be pitted and cut into quarters. Have you ever tried to freeze fruit yourself, only to find that it all sticks together in a giant block? Yet when buying bags of frozen fruit from the store, the fruits are not stuck together in this way? The trick that manufacturing companies already know is that fruit must be frozen individually. In the morning, transfer frozen fruit from the sheet into freezer bags. Now that they have been individually frozen, the fruit will not stick together and form a frozen brick. 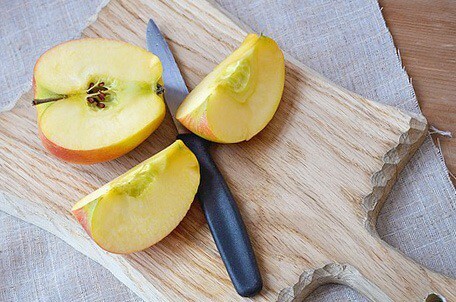 Most fruits can be stored for 9-12 months in the freezer. However, citrus like oranges, lemons and limes, will spoil after 3 months. First, wash vegetables in a mild solution of water and vinegar (about 1 teaspoon vinegar per liter of water) to remove any residue. Rinse thoroughly with clean water. To blanch your vegetables, simply drop them into your large pot of boiling water. Wait a few seconds for the water to return to boil. For extra convenience, use a steam basket or strainer - see tips below. Cover the pot and let the vegetables cook briefly. Most vegetables require just 1-4 minutes of cooking. Use the table below for the exact times required for each vegetable. It is important to set a timer so that you don’t overcook them. I simply use my smartphone’s clock app. Once the time's up, quickly and carefully transfer vegetables from the boiling pot into the ice water using the slotted spoon or strainer. This step halts the cooking and prevents over cooking and nutrients loss. Vegetables should cool for the same amount of time they were cooked. For leafy greens, squeeze the water out of the leaves, skip the next step and insert the squeezed leaves into a freezing bag. Line a baking sheet with parchment and arrange the blanched veggies in a single layer. Pop it in the freezer and leave it overnight. 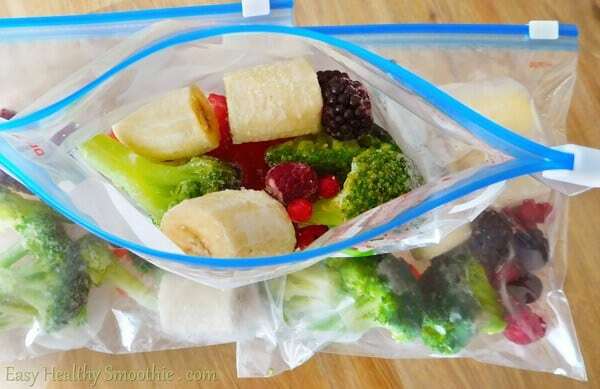 In the morning, transfer the frozen veggies from the sheet into freezer bags. Based on the classic table by the NCHFP but with additions and modifications according to my personal experience. 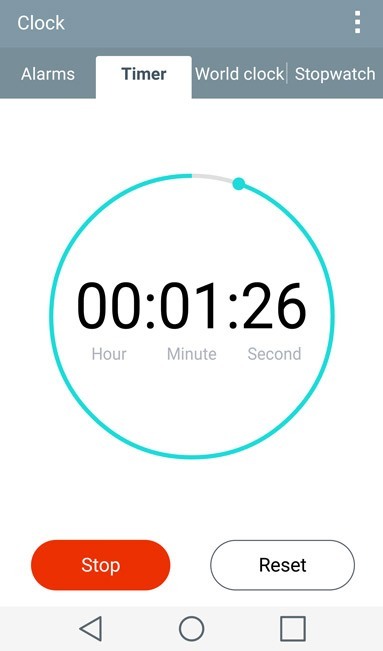 After you put the vegetables into the water, as soon as the water boils again, start the timer countdown. Set the time according to the minutes specified in the table. In case you're wondering how much water should you have in the pan - it is recommended to use one gallon of water per pound of vegetables. As an alternative to the above blanching and freezing method, cubing is a quick method to get ready-made cubes that you can just toss into the blender when needed. Use a blender or food processor to puree your favorite vegetables or fruits separately in batches. Pour the puree into a tray and freeze overnight. Cover the tray with a plastic wrap to prevent freezer burn. 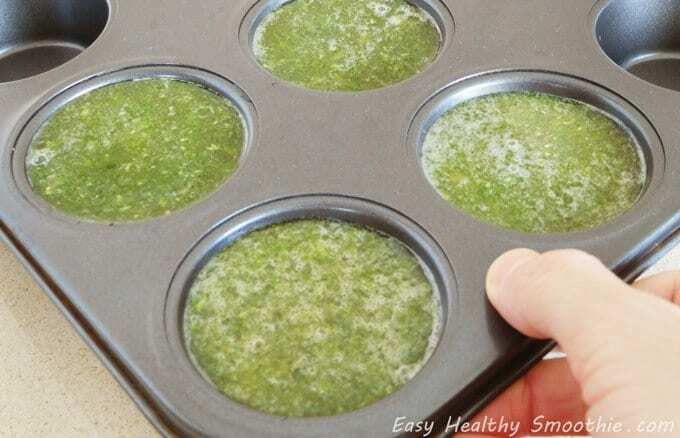 Use BPA-free ice cube trays, flexible silicone muffin pan or baby food trays. Once frozen, it is best to remove the resulting cubes from the tray and store in the freezer either in closed containers or freezer bags. However, this method has its cons as you can see in the table above. This is why I don’t personally use it. Still, you might prefer cubing because it is easier and quicker than blanching. To make the smoothie, I just empty this pack into my blender, add 1 cup of milk and blend! 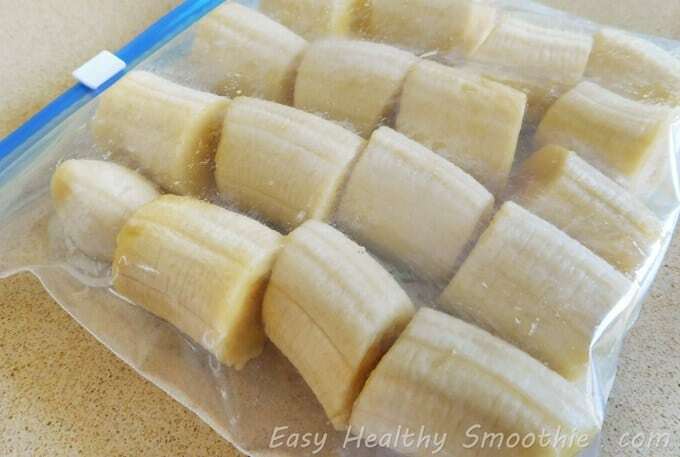 I prefer freezer bags over containers since bags can more efficiently protect against freezer burn. 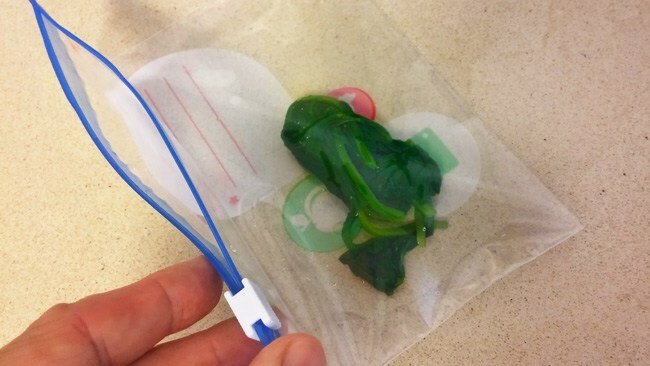 This is because you can squeeze the bag to push out air, protecting the food inside. I use this kind. Keep in mind that if you plan to store vegetables in the freezer for an extended time (more than 1 month), it is best to blanch them to halt enzyme activity. Don’t try to save time by filling your pot with a huge load of veggies. If the water takes longer than 1 minute to return to boiling, you are more likely to over or undercook the veggies and ruin them. 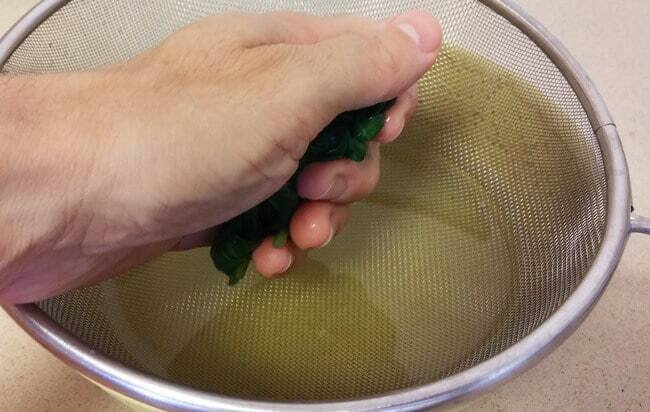 To increase efficiency, use a basket steamer, or fit a wire basket in your pot. This means when it is time to pull the veggies out and ice them, all veggies can be removed at once. 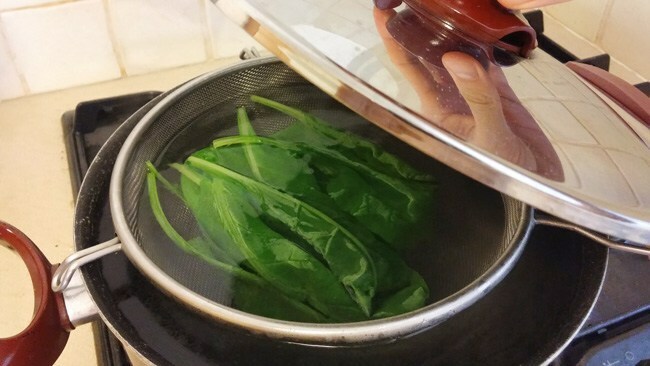 Using the blanching and freezing method can save you not only time, but money too! If you see organic spinach on sale, buy a load of it. Follow the step-by-step instructions above and make that spinach last for months in your freezer. Do you have a raspberry bush in your yard? Do you go strawberry picking in the summer? Do you hunt for wild blueberries? Finding fresh fruits in season is easy, and they are usually on sale too. But when the seasons change, so do the prices and you can quickly find yourself paying a premium for those berries that were abundant a few months ago. Freezing vegetables is an amazing strategy to prolong their life and maximize their nutrients. As vegetables age they lose valuable nutritents. This is because of enzyme activity in fresh vegetables. The same thing that causes your kale to start turning yellow, also causes your kale to lose nutrients - and you are forced to throw it away. When vegetables are cooked, it stops some of the enzyme activity that would naturally occur in raw vegetables. Without these harmful enzymes, blanched vegetables can be stored in the freezer for 8-12 months without losing nutrition or flavor. Even though the enzymes are destroyed, most of the nutrients stay alive, and in some cases the vegetables may become even healthier! For example, Cruciferous vegetables like broccoli, cabbage, brussel sprouts, cauliflower, bok choy, and kale provide remarkable health benefit, but unfortunately they also contain goitrogenic compounds that can harm the thyroid. However, once they are cooked, these harmful compounds are destroyed. This means you can eat more of them without worrying about your thyroid health. 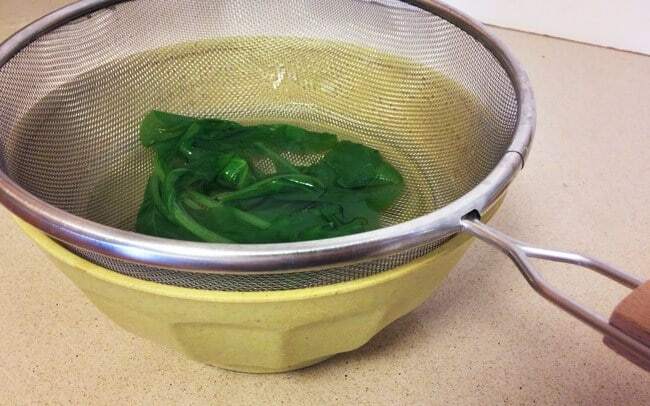 If you’re adding 2 cups of kale to your green smoothie every morning, blanching is definitely good news for you. Blanching vegetables also makes them easier to digest because it helps break down the fibers and fermentable carbohydrates in raw vegetables. Freezing veggies and fruits for smoothies is a game changer for me. It saves tons of time to be able to skip the process of setting up, washing, peeling and other preparations necessary to make the smoothie happen. It’s like “automating” everything, only the end result is a healthy homemade beverage, handcrafted by you. So, are you going to start freezing your vegetables to save time and money? After I learned that blanching and freezing could make my vegetables healthier I started doing it once a month. In the morning, I simply toss the frozen pieces into my blender and in just one minute, I have a cool, refreshing smoothie! I also find myself enjoying things like rhubarb and fiddleheads even when the grocery store has long forgotten about them! If you have any tips that you have discovered, let me know in the comments below. There’s a good chance you know someone who would find this article helpful, so be sure to share it with them - just click the button below! Want to eat healthier and save time? Easily blanch & freeze vegetables and fruits with this step-by-step guide. Perfect for quick healthy smoothies! I hate when my greens turn yellow and I have to throw them out. 🙁 Going to start freezing them for sure. Definitely an amazing solution. When I discovered how practical and time-saving it is to freeze, I can’t understand how I got by before ? Lots of good info here! here’s another tip: I use the water from cooking the vegetables as a base for soup. It’s easier and tastes better than those bags of liquid. Thanks for the tons of usable information. I will pass on to friends! Thanks for the really useful article. this is the best way to save time and have a refreshing cold smoothie as a bonus! Great piece, found these tips really useful. I definitely need to start freezing my ingredients a lot more. Think I’m missing a trick at the moment!